The crab nebula is a remnant of supernova that exploded in the year 1054. It is located in the constellation Taurus next to Zeta Tauri. Its surface magnitude is 11, with a large size 6'x4 'but it would pass almost unnoticed to the eyepiece, it takes a total absence of the moon to see its shape. With my camera asi224mc and my 300mm (F4) without filter, it is seen correctly on my screen, finally the cloud, with poses from 1s to 450 (gain). I realized on 3 nights catches of 4h.I kept that 6H, I wanted a good resolution but I was quite disappointed by the quality of the definition because the nights of the month of December are rather troubled. I used Siril for the complete stacking of this photo, ie the stacking of each session and the addition of the 3 sessions. It's a great tool for the short exposure, with a very easy grip, it's just another habit to take. Now I have done an animation, using 4 photos, Alberic de Bonnevie, Robert Cazilhac and myself. -and December 2017 by myself. I mixed our four catches. Edited by exaxe, 05 January 2018 - 07:26 AM. Very nice work. Thanks for posting. Wow, your animation is fantastic. I think I remember seeing this animation before, earlier in the year. Someone mentioned at the time that it was one of the most incredible amateur observations they had seen and I have to agree. You would expect and in fact can see Hubble’s animation of the shock waves passing through the Nebula, but for amateur astronomers to capture this is simply amazing. To think that that a neutron star the size of a small town rotating at 30 times a second can have such an affect on a nebula is incredible. We are so familiar with seeing no changes in DSO’s due to there vast distances but here we are seeing it in almost real time. 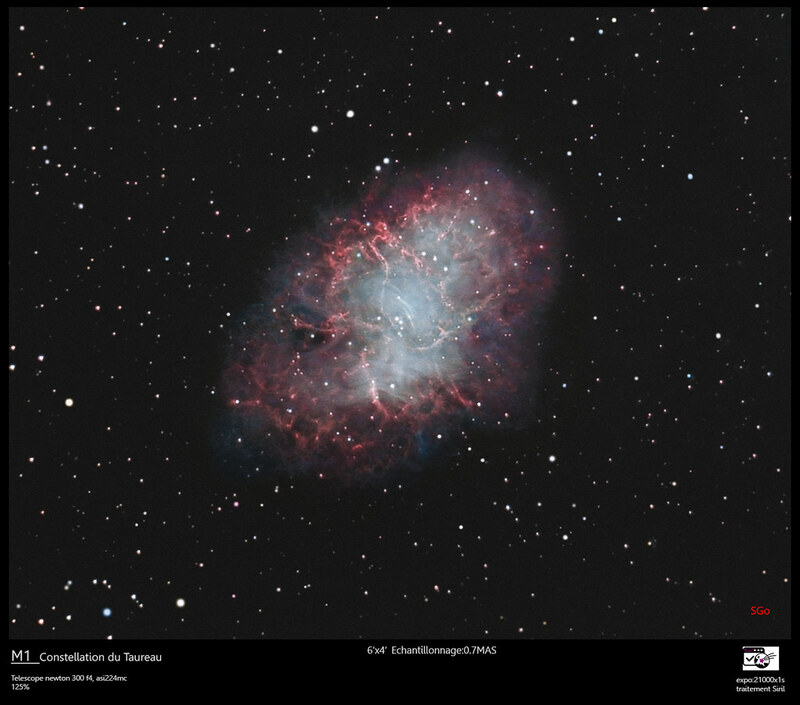 By the way your image of the Crab Nebula is brilliant to! thank you Droogie, do you remember the link? Do you mean the Hubble video or the one earlier in the year? Though I suspect you mean the Cloudy Nights link, I’ll try and find it but I failed to find in previously. also the animation is incredible! As if the extraordinary image of M1 made with a ASI224 wasn’t enough. The stacked images of the puslar are way over the top. 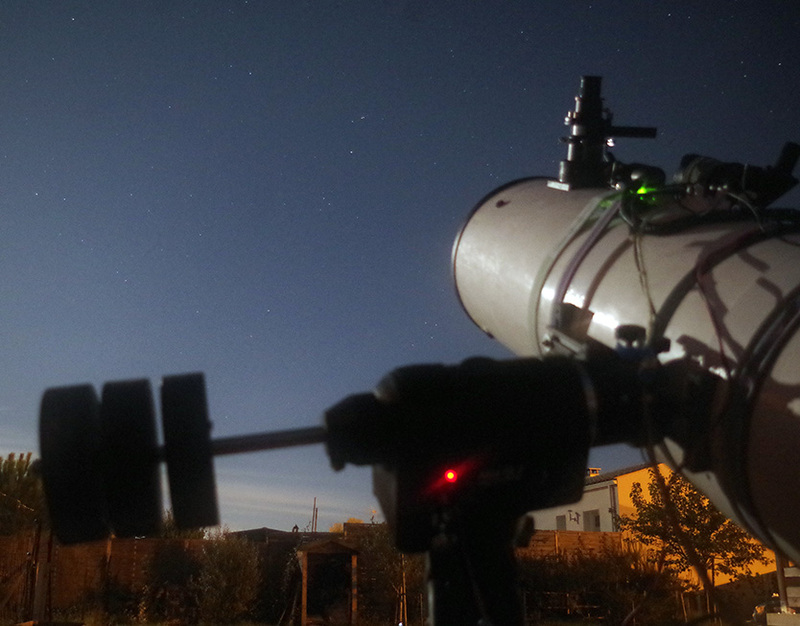 Remarkable work and closer to professional astronomy than amateur. May I ask what brand mount and scope you are using? Is this a Dob on an EQ Platform or an imaging Newtonian on a GEM? Thanks!!! thank you Quaternion, Yes 1s but 21000x, and Siril is a freeware for dso and planetary. thank you Jeff, it's clear! thank you Selfo, the two go well together! Edited by exaxe, 05 January 2018 - 02:55 PM. Thanks for the info. 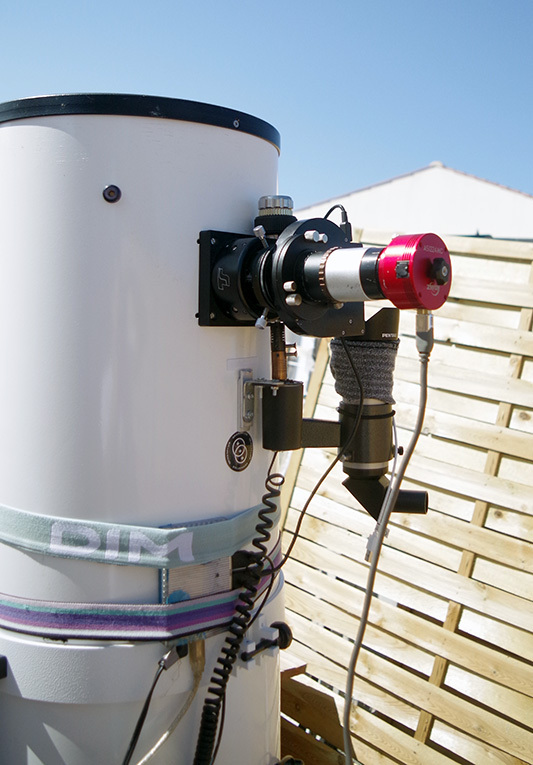 Is this a custome made 300mm F4 Newtonian, GSO, ? Sorry to bother you again. To think that that a neutron star the size of a small town rotating at 30 times a second can have such an affect on a nebula is incredible. When you consider that the surface of this small town is moving at a substantial fraction of the speed of light, around 20 million miles an hour, perhaps not as surprising. The energy thrown off is ferocious. That's an APOD-worthy image, exaxe. One of the most incredible things I've seen out of an amateur's equipment, and fairly modest equipment at that. Wow, if I'm correct that would be something like 27Gb of data?? Exaxe - I'm not kidding about APOD. Do you know how to submit an image for consideration? Dkeller: for the APOD, I posted here: "http://asterisk.apod...hp?f=29&t=37890", is it there? Simply amazing! Thanks for sharing!